Week clickedy click, oops I mean sixty six. Anyone would think I played bingo – and actually I don’t- honestly! 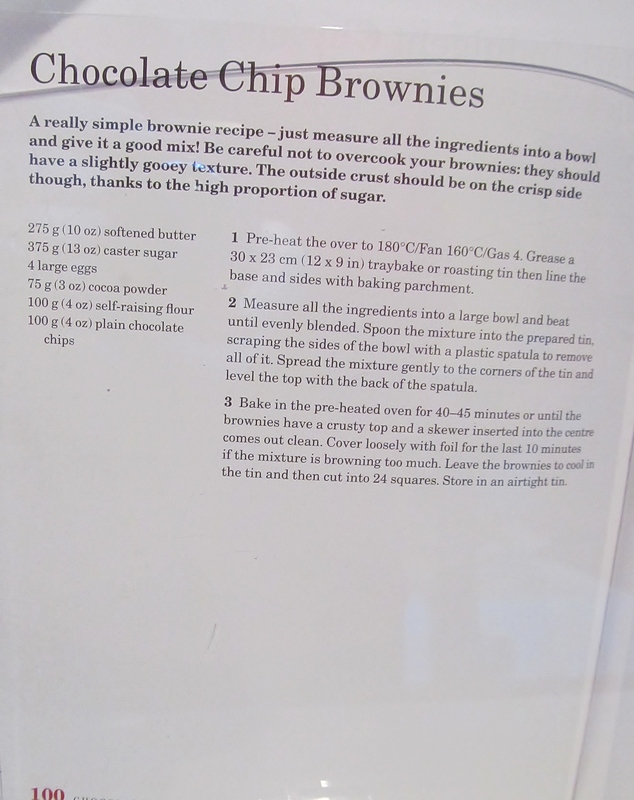 I chose a chocolate fest of a recipe from Mary Berry’s Baking Bible – chocolate chip brownies. Mary’s brownie recipe was really simple, add all the ingredients to a bowl and mix- not much to go wrong here! Then pour into a tray bake tin ( one of my trusty recycled Lakeland tray bake foil tins) and level. Pop into the oven and bake! 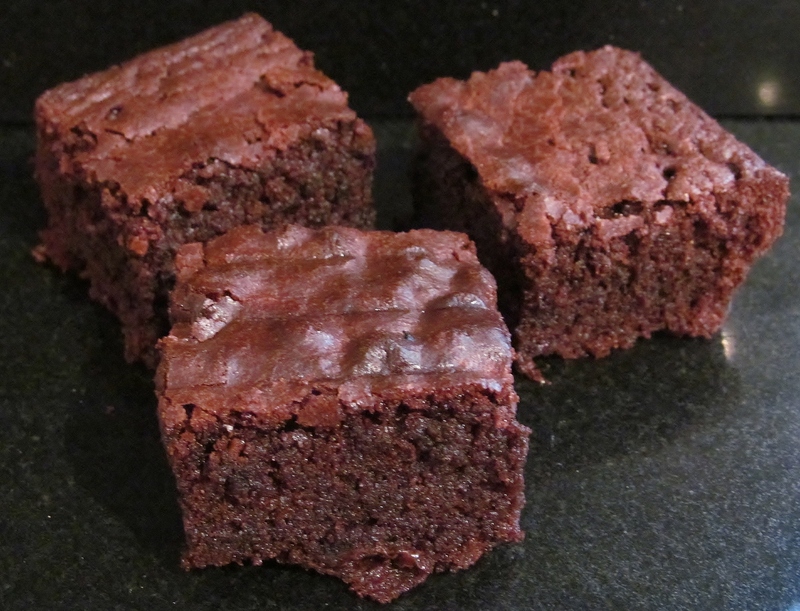 Once baked, allow the brownies to cool in the tin, then remove and cut into squares and store in an air tight tin. The smell of these cooking was mouth watering indeed and while they were cooling, my kitchen had the most amazing chocolaty smell about it. My chief taster was home from his stay in hospital so I packed some into his tin for him to try and also made him some cheese scones which he loves s much to welcome him home. It was his birthday yesterday and as we weren’t sure if he would be home, I didn’t get to make him his birthday cake, so watch this space, that will be next week’s challenge recipe! This entry was posted in Kim's cake challenge and tagged Baking Bible, brownies, chocolate, Chocolate chip, Kim's Cake Challenge, Mary Berry, Mary Berry's Chocolate Chip Brownies by kimsideas. Bookmark the permalink.